Real-time inventory management is an essential component of production management. Prior to implementation, the company employed a patchwork of non-integrated systems, primarily home-grown software and off-the-shelf products. The warehouse software ran on a PC-based system. At the end of each day, all remaining inventory balances were transferred into an ERP program. 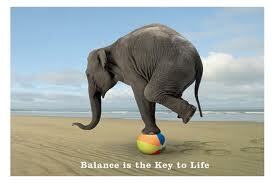 Since the systems were not integrated, the balances rarely coincided. The company was unable to quantify losses. · Maple Leaf required WMS and ERP applications capable of full integration. · The solution needed to integrate all facilities and all phases of the manufacturing process. · Key employees at various locales must know, in real-time, exactly where a duck is in the manufacturing process, where it is located in the warehouse and at what facility the duck product resides. The team from VAI reviewed Maple Leaf’s existing systems, analyzed business operations in detail and helped design S2K for Warehouse Management. The entire duck manufacturing process is tracked utilizing one keystroke because the system tracks the duck, in whole or part. The system tracks every scan, giving Maple Leaf a full inventory track and movement history as well as a complete employee efficiency tracking system. The ERP implementation yields greater inventory control for Maple Leaf and enhances customer service. The invoicing process is totally streamlined. This is a true success story from many aspects. Better inventory control, better shipment, fresher products delivered to their customers. Happy customers equals a better and growing business. It is also apparent that VAI feels the same way towards Maple Leaf Farms. There probably is no better endorsement for an organization. VAI took the time to learn. They did not go in and “tell” this company how to run their business. VAI understood that Maple Leaf Farms knew what they were doing, but that they also needed a better tool set. It is like doing a home improvement project. You have some basic tools and you struggle through the project and when it is done, there is a certain amount of pride in completing a job-well-done. Yet when you watch people that do the same work for a living, you are impressed with the tools they have and use, the professionalism, and their confidence, not to mention how much quicker they get the work done via their teamwork. Enterprise Resource Planning (ERP) and Warehouse Management Systems (WMS) work. They work really well when they are matched correctly with the challenges. There are many different systems and most work well. The challenge is finding the right fit. The right culture, like VAI taking the time to listen, is a key ingredient. It is not a comfortable feeling to rip out your existing systems even if they are broken and replace them with something new. What if the new system ends up being worse? You need a group of professionals that have confidence and experience in your industry. Most companies just need to feel confident that it can be done. You know where you are, where you want to be, and it is the middle part (getting there) that often takes a leap of faith. Working with those that have been in the middle before helps. Dolvin Consulting work with partners VAI and IBM to deliver real world solutions to real world challenges. Contact us today to begin the conversation. We care and we believe that we can help.